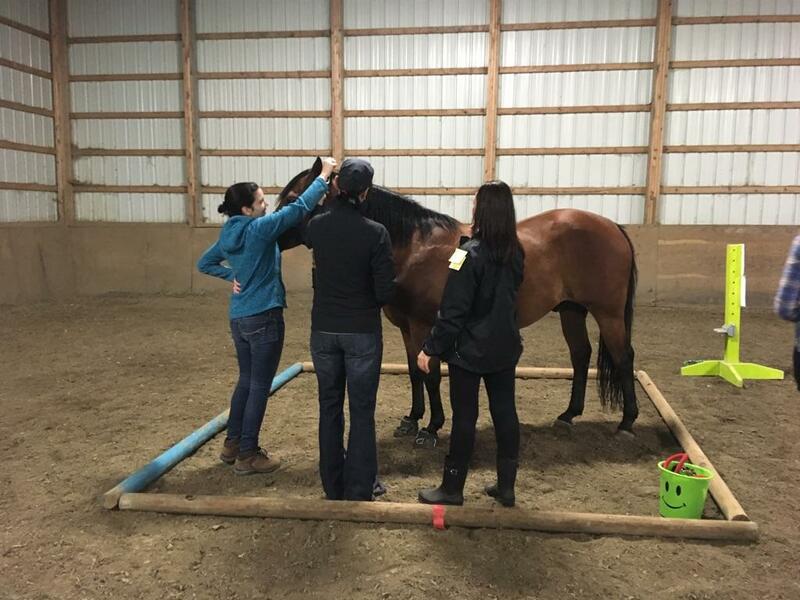 Equine Assisted Learning (EAL) is a learner based, experiential skills development program tested by the University's of Saskatchewan, Regina and Calgary, using horses as the teachers! More specifically, it is an effective approach to human development that encourages individual and team growth. 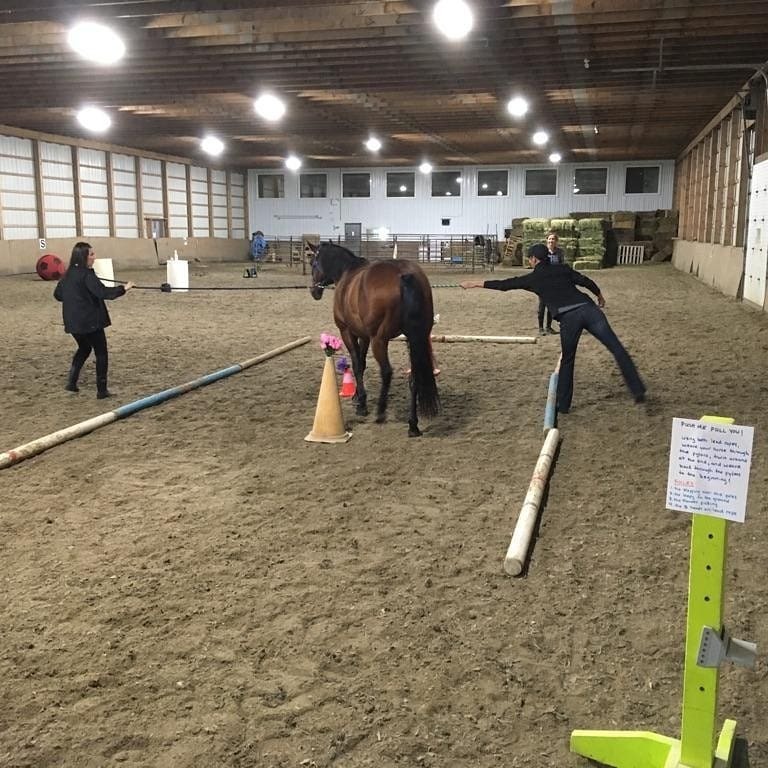 Participants engage in objectively driven exercises and find themselves learning valuable life skills in a fun and exciting atmosphere while working with horses. Equine Assisted Learning has proven to be effective, powerful, positive, educational and creative. The Academy of Equine Assisted Learning’s program emphasizes it’s curriculum of objectively driven exercises and facilitating life skills through positively reinforced interaction with horses. Exercises are developed to encourage self-esteem and self-confidence through validated, hands-on experiences. Current research has found this experiential form of learning to be most effective as the person learning will retain the newly acquired skill. However, people remember 90% of what they learn through hands on experiences! Check out the 5-year, multi-institutional study on our curriculum! This program is now being used by the Calgary Board of Education, has been featured and promoted on the Family Channel and is used in many First Nations youth organizations across Western Canada! Horses are tough and stead fast dance partners. Horses consistently react to stimulus provided by participants. Some of the joys associated with working around horses are – they don’t judge but they constantly assess. Their feedback is honest and instant. Learning to listen to what horses have to say is powerful and can sometimes spur the answer to individual change. 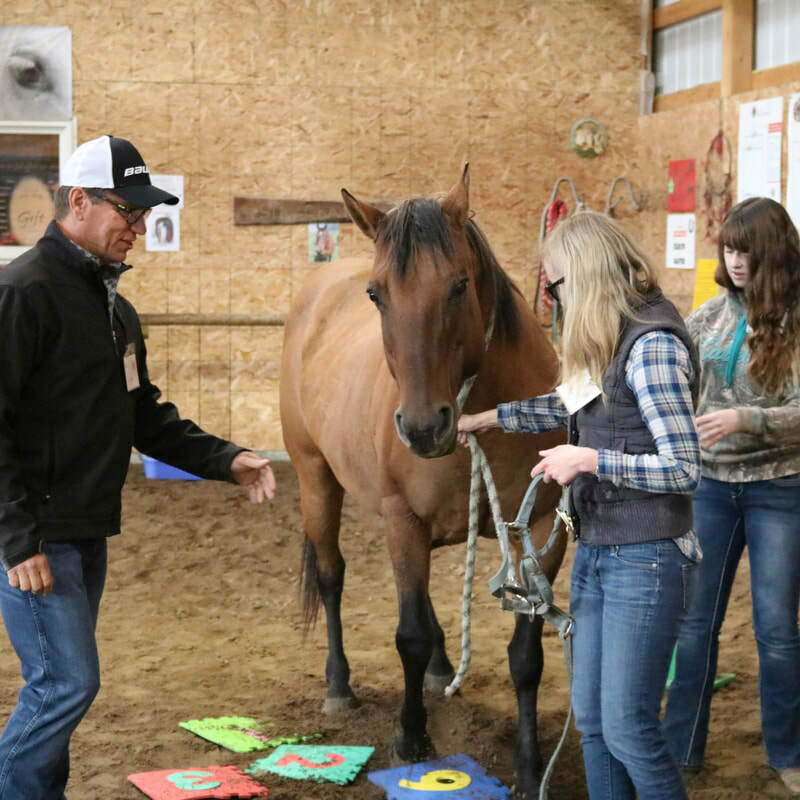 By including horses in specially designed educational exercises, equine-assisted facilitators have greatly multiplied the participant’s rate of success to self discovery. Horses respond and react from the stimulus of the people they are working with and address the problem immediately. A skilled and certified facilitator has the opportunity to step-in and help identify what needs to happen to move forward. Horses don’t over think a participant’s motive but horses do challenge their behaviour and leadership. All lessons taught indoors, and heated arena available in the winter! Email lessons@sagehillstables.com or phone 1-800-217-4184 for more info!